One of the most common toilet training mistakes humans can make when toilet training a puppy is verbally punishing a puppy ‘caught in the act’ of toileting indoors. Most people think that when they catch a puppy toileting that they should yell out something like ‘No! Bad puppy!’ to teach the puppy that toileting in the house is unacceptable. Let’s look at this from the puppy’s point of view. He feels like going to the toilet so he goes, unaware that he shouldn’t toilet indoors. You come along yelling and scare him. When he toilets indoors and you’re not around he doesn’t get yelled at and now that you ARE around he’s being yelled at. He’s learning that your presence when he’s toileting is a bad thing. You think you’re teaching him not to toilet in the house. The puppy thinks it’s not safe to toilet in front of YOU. The next time you take him outdoors to toilet and say something like ‘Go do wee!’ the puppy remembers you yelling at him and refuses to toilet in front of you. He holds onto it and after a while you take him back indoors thinking he doesn’t need to go. At the first opportunity your puppy will sneak away from you and toilet undetected. I call this ‘stealth peeing’! He’s simply trying to avoid punishment. If this has happened to your puppy the first step is to cease punishing your puppy for accidents immediately. 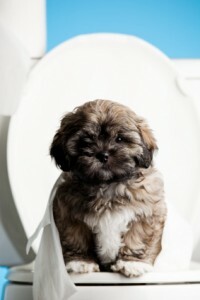 Ensure that you have a proper toilet training plan that sets the puppy up for success. This should include confinement and 100% supervision in the absence of confinement. You will then need to take your puppy outside and let him roam far enough away from you so that he feels safe from punishment. When your puppy toilets praise verbally and reward immediately with a high value treat or fun game. Trevor will not have unrestricted access to our home, not even for one minute! If no one is available to supervise him he will be crated, put into a pen or simply attached to our waist with his lead and keep him with us. This way we can go about our daily business confident in the knowledge that no harm will come to him or our belongings. As he matures we gradually allow extra privileges in our house. When visitors arrive Trevor will be popped into his playpen. When he is calm he will be let out of his pen and visitors will be instructed to ask him to sit before greeting him and usually giving him a treat. If we have visitors that are non-compliant Trevor will be given a Kong in his play pen where he will remain until the visitors leave. Trevor will be taken outside every hour AND after meals, drinking, playing or sleeping. If he is having free time in the house he will have either Paul or myself dedicated to watching him 100% of the time. At night time he will sleep in his crate in our bedroom and we will set the alarm to take him out to the toilet a couple of times a night. If we go to bed at 10:30pm and wake up at 7:00am we will set the alarm for 1:30am and 4:30am. We will puppy proof our home and yard to the best of our ability. Nothing will be left on the floor or anywhere he can reach. Toilet doors will be closed and wardrobe doors will be closed. Although we will supervise him when he’s having free time we don’t want to be constantly calling him or moving him away from things as that will only serve to make these rooms more interesting to him. From very early days Trevor will get LOADS of time off lead in safe places. We don’t want being off lead to be a novel experience for him. If being off lead is novel he’ll be much less likely to come when he’s called. Whenever Trevor is attached to a lead we will NEVER take a step forward if there is any tension in the lead. If we need to get somewhere quickly we will pick him up and carry him rather than allow him to pull on lead. We will constantly trade Trevor for things his has in his mouth. For example, if he has a leaf in his mouth we will pick up another leaf and make a big deal of our leaf. When he indicates he wants our leaf we will trade him for his now boring leaf. We will trade his toys for treats etc. Before Trevor has impulse control and has been trained to sit at open doors, garage doors, gates and car doors he will be leashed and/or tethered before any door is opened in his presence. Access to our stairs will be blocked and or baby gated. Puppies can tumble down the stairs in the blink of an eye hurting themselves severely at a minimum. Many puppies can even fit between the railings on staircases. When we are eating Trevor will be placed into his playpen so that we can eat in peace and not worry about where he might be or have him begging at the table. When we feel up to it we will train him to sit quietly on a mat while we eat. Puppies get over-tired just like children do and as a result become obnoxious, ill-tempered and upset. Trevor will be put down for a sleep in his crate/playpen area regularly. At 8-10 weeks he will be put down for a sleep after 45mins or so of awake time. Trevor will be provided with mental stimulation in various different forms on a regular basis. He will have his toys rotated daily to keep interest in them. He will be given different food puzzles regularly. We’ll play fun games with him like hide the treat, hide-n-seek etc. We will also do regular short training exercises. Structured activities stop him from looking for something to do and making a bad choice! Trevor will only be permitted to meet other dogs on lead if he is calm and responsive to us. He will then be asked to sit after which he will be expected to walk on a nice loose lead to reach the other dog before saying hello. We will keep the leash slack during the greeting. Trevor will not be fed away from things. He will be fed in a busy area of our house. This is so that he gets used to eating with activity going on around him rather than being alone with his food. Puppies that get used to eating alone in a laundry or outdoors often turn into food guarders. It’s normal for dogs to toilet indiscriminately and puppies have no concept of ‘holding it’. We can’t just bring him home and hope for the best and then reprimand him when he toilets indoors. Many people refer to a puppy toileting indoors as a ‘mistake’ – while it IS a mistake it’s not Trevor’s mistake, it’s OUR mistake for not having a plan or for failing to stick to the plan! Toilet training takes more than a just few days and we can’t relax until we’ve had a good three months without any indoor toileting. Trevor has never spent a single moment alone, he has been with his littermates and mother one hundred percent of the time. For us to dote on him all day long then expect him to sleep alone in a laundry that night is expecting too much! He will be frightened when alone and will naturally call out in distress. Trevor will sleep confined in a crate in our bedroom where he can see us and hear us breathe. He will then be taught to accept being alone gradually. This will include being happy to be in the same house as us but not have access to us (or Stevie). We need to ensure he is comfortable with being handled from an early age. If he happily accepts handling then visits to the vet /groomer will not be traumatic for him or the vet/ groomer. We have a very short period to shape how Trevor will view the world. We know that his survival instincts will begin to kick in at somewhere around 12 weeks of age and will be in full force by 16 weeks of age. This means that by 16 weeks of age he will be wary of (and quite possibly frightened of) anything new. We will have around 8 weeks to introduce Trevor to, and make him comfortable with new people, animals, things, experiences and places. For this 8 week period all our personal desires will take a backseat unless they fit into Trevor’s socialisation program. It’s only 8 weeks and it will shape the rest of Trevor’s life. Biting and mouthing are perfectly normal behaviours for puppies. They use their teeth in play and as a means of communication. Trevor needs to learn that when interacting with humans to treat our skin as though it were tissue paper. This is a systematic process. Often people inadvertently teach their puppy to bite by teasing them with hand and feet. When we (or anyone else!) play with Trevor there will always be toy between him and the human. There’s nothing that saddens us more than little dogs jumping frantically on humans. It never ceases to amaze us how many people find this behaviour ‘cute’ and see it as an expression of happiness. I always imagine Paul coming home after a consultation to me jumping frantically all over him. I’m sure that if I did he would send me off to get some professional help and I’d spend the next two years in therapy working on my anxiety issues. What makes it so different for dogs? Jumping up is often an expression of anxiety in dogs, just as it would be in humans and we would be devastated if our dogs were this anxious to greet us. It’s normal for dogs to want to keep their resources to themselves. Trevor will be no exception to this. If Trevor were living in the ‘wild’ guarding precious resources would help to ensure his survival. 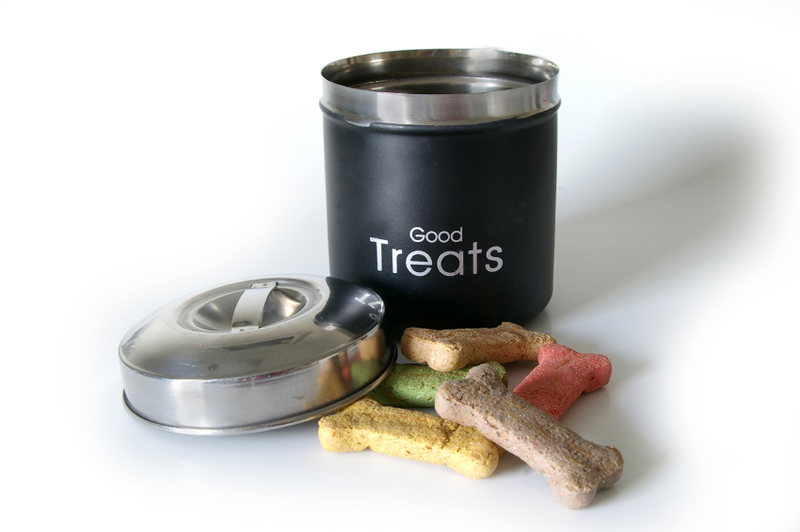 Resources are things dogs like such as food, toys, sleeping &resting places and even humans. It’s our job to teach him that sharing resources is not only ok, it’s beneficial. We will teach him to trust us enough so that he happily surrenders resources to us, rather than tolerates us ‘taking’ them off him. Puppies will tolerate you taking things off them but as they grow and become more confident they may not accept it so well. When Trevor is unsupervised, whether indoors or outdoors, it is important that we have somewhere safe to put him. Not only can unattended puppies learn bad habits quickly, the can cause damage to household items easily. Injures and even death can befall unsupervised puppies quickly. Puppies die from chewing on electrical cords, suffocate in plastic bags, drown in pools or ponds, get caught up in curtain cords and strangle to death. Just the other day one of our clients found a huge python eyeing up her Golden Retriever puppy in the backyard! Keeping Trevor safe from harm is one of our responsibilities as puppy parents. We can’t supervise Trevor 100% of the time so we need to train him to be happy to be confined somewhere safe and puppy proofed. This seems to be very low on most puppy parents’ list of priorities but it rates very high on ours. We love a calm dog. A calm dog is a dog that can think and respond. A calm dog isn’t running around wildly reacting to the world and everything in it. A calm dog is a joy to be around. Trevor will be a calm dog. It’s worth noting that calm is not a position (sit, drop etc), calm is a disposition. Calm dogs get everything in our house, they get treats, they get played with, they get to go for walks, they get to come inside, they get to go outside, they get to come up and snuggle on the bed or couch, they get to say hello to visitors, they get greeted by us , they get dinner – all the good things happen for calm dogs. Dogs that aren’t calm get nothing. It’s quite simple to teach if you’re prepared to wait initially. Trevor is a dog and we know that dogs like to chew things. Armed with that knowledge and having a house full of ‘things’ we’d be insane to leave him alone anywhere in our house with our things. Astonishingly easy we know, yet so many people have so many things destroyed by puppies and young dogs. Trevor needs to be taught to make good chewing decisions. Until he demonstrates good chewing choices consistently we’d be mad to allow him unsupervised access to anywhere indoors or outdoors that is not puppy-proofed. When deciding what breed to buy as our second dog we were tempted by many breeds, including some very large breeds, but just couldn’t go past the wonderful Cavalier King Charles Spaniel in the end. 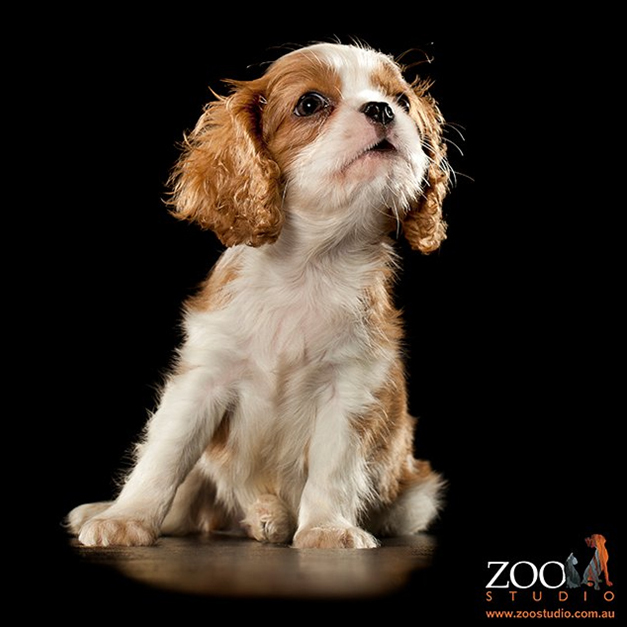 The cost and effort that goes into maintaining a Cavalier is minimal when compared to larger breeds and many of the smaller breeds too! We already have one Cavalier, Stevie, who has been an absolute delight for the past 7 years. Obviously Stevie is more likely to get along with another Cavalier and he’s too old now to tolerate a large dog pawing at him and annoying him. Cavaliers are portable which makes them easy to fit into our life which can be hectic since we run our own very busy business. We often don’t have time for long walks or big exercise sessions. Also, we are dog trainers that work seven days a week and although we love our job we don’t necessarily want to do it when we get home! They don’t take up as much room on the couch or bed! We WANT two dogs. We’re not getting another dog to keep Stevie (our current dog) happy or to keep him company. We’re not getting another dog because one of us wants one, or so that we can have a dog each. We have discussed the pros and cons as a couple and decided as a couple that we would like to have two dogs. We have the means to care for two dogs. Having two dogs costs twice as much money. Every cost you incur you incur twice, food, vet bills, worming & flea treatments, pet insurance and all the other costs associated with having a dog. We have budgeted for this and know we can afford it. We are ready to raise and train another dog. We have the time to put into it. We know that for at least the next 12 months we will be wholly committed to raising our second dog to be a happy, well adjusted and behaviourally healthy dog. This will mean socialising and training – even when we don’t feel like it. Our puppy’s development will not stop just because we’re busy! We need to make time even if we are tired, busy or working long hours. We will sometimes need to forgo social events or some things we’d like to do in favour of tending to our puppy’s long term well-being. We know that Stevie will cope well with the addition of another dog to our family. He is behaviourally healthy and well trained. We understand that he may not be thrilled with having a puppy around him constantly, just as we may not be thrilled with having to spend our entire day every day with a one year old child. We have made provisions so that he can have space and time away from an annoying puppy when he needs it. We hope to be able to use our puppy to demonstrate with in classes and as he gets older to take some of the workload off Stevie’s shoulders. The breeder we chose, Bob Krapp from Kabob Kennels, has bred and exhibited Cavaliers for almost 30 years. Bob is very successful and active in the show ring producing twenty five Australian Champions. He has also bred two USA Champions, four Canadian Champions and one Malaysian Champion. He imports dogs to keep his bloodlines fresh. All seven of his UK imports subsequently became Australian Champions. Of his five New Zealand imports two became Australian Champions. While the show champions mean nothing to us since we’re buying a ‘pet’ dog they are important in so far as they show his dedication to the breed. 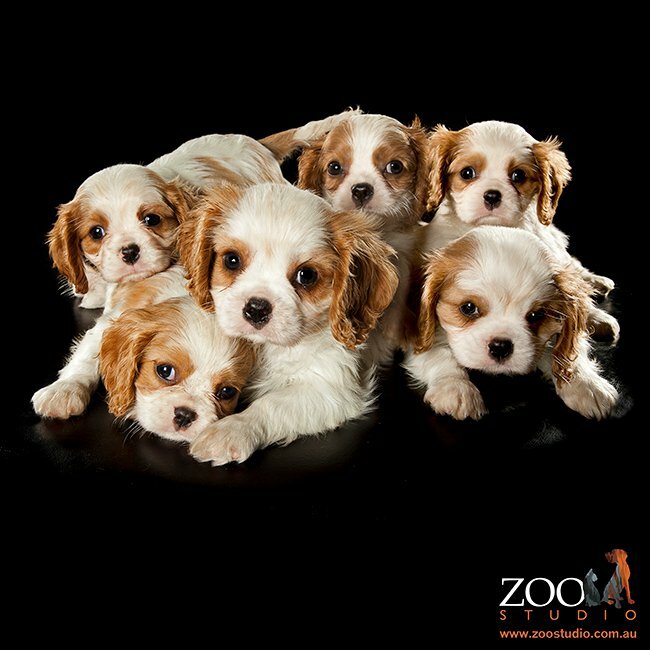 Having already had a Cavalier that died from a serious genetic health condition, a breeder that focused on health in conjunction with conformation was paramount to us. 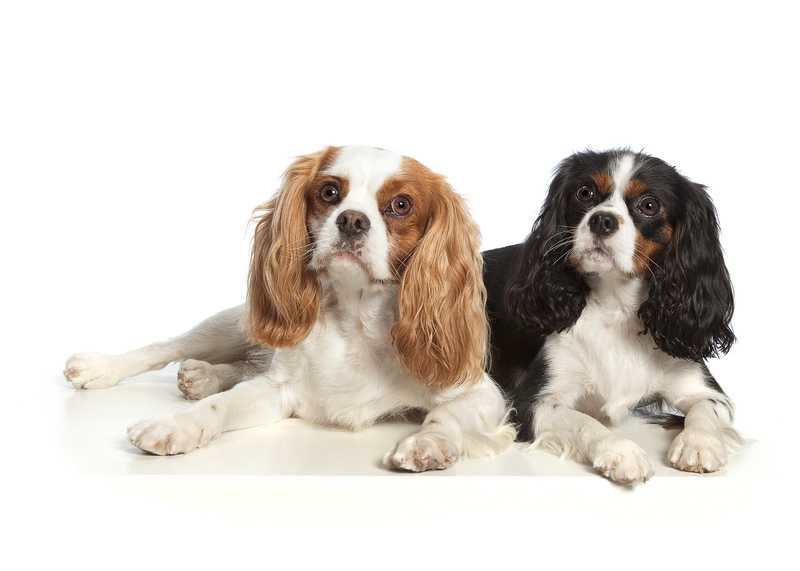 Cavaliers suffer from a myriad of genetic conditions including mitral valve disease (MVD, early onset heart murmur), eye diseases (including cataracts and retinal dysplasia), chiari malformation (CM), and syringomyelia (SM) to name a few. Bob is very aware of these conditions and others affecting Cavaliers and not only ensures his dogs do not have these conditions, actively campaigns to educate everyone including vets about these conditions – particularly syringomyelia. 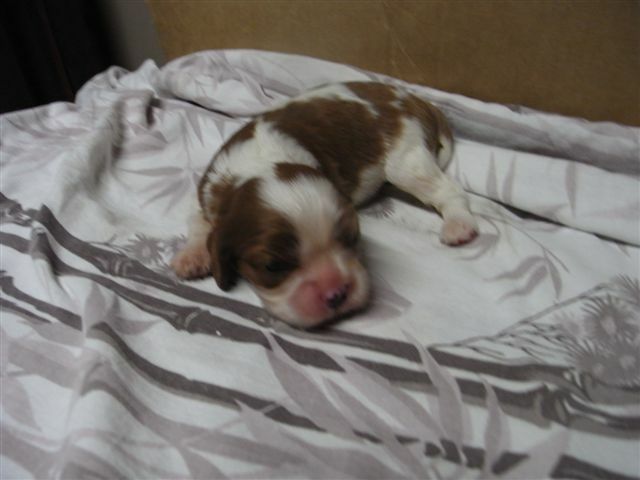 His main focus is on health as he strives to improve Cavaliers, only then does he consider the show ring. He was instrumental alongside another good breeder, Carol Yates, in introducing ‘Heart Clinics’ at club shows. Good breeders will be very aware about the health conditions affecting their chosen breed and will be actively striving to improve the overall health of their breed. It is very difficult to get a puppy from Bob, as it should be with good breeders. Typically a good breeder will put you on a waiting list, you cannot buy one of their puppies on impulse. When you want a puppy from a respected breeder it should feel like a job interview! If you don’t feel like you’re being interviewed you’re not dealing with a breeder who cares what happens to their puppies once they leave the litter. Don’t be surprised if they ask for references. A good breeder will also want to remain in touch and keep tabs on their puppies. Our breeder only breeds Cavaliers, nothing else. Never buy from a breeder that breeds more than two breeds since this is verging on a puppy mill. He owns both the sire and the dam, which is often unusual in breeding. We were able to view both parents. Bob registers his puppies with the Australian National Kennel Council (AKNC) and our puppy will sold with pedigree ‘papers’ from the ANKC. Our puppy will be sold to us on ‘limited register’ which means he cannot be exhibited at any shows nor have any of his puppies registered with the AKNC (i.e. with pedigree ‘papers’). Again, this is not an issue to us since we do not intend to show or breed our puppy. Bob also belongs to professional bodies including the Cavalier King Charles Club of Queensland and abides by their code of ethics to strive for improvements to the breed. Our vet knows him and recommended him highly. He has treated some of our breeder’s dogs in the past and cannot remember any significant health issues with them. Other people active in showing and breeding also highly recommend our breeder, saying he is one of the best in the Cavalier world. Bob breeds only when he wants a dog for himself and his breeding program is not the primary source of his income. He will not accept any money upfront as a deposit, preferring to wait until his puppies have had their final heath check and heave been cleared. This is a quality breeder with good morals who cares about his chosen breed.